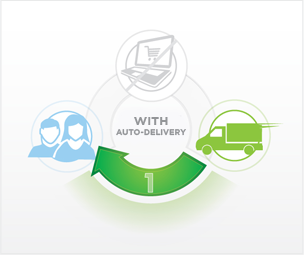 Our New Auto-Delivery Program allows you to have your orders shipped automatically to you! SAVE AN EXTRA 5% on all products with Auto-Delivery! SAVE TIME: you won't have to keep re-ordering your favorite supplements! LOWEST PRICE: you are guaranteed the lowest current price! MANAGEMENT: update shipping frequency, pause, resume or cancel anytime! It's so simple! When ordering, just select how often you would like us to ship a product. We'll take care of the rest (at no extra cost). We will bill your credit card on the day your order is shipped. You may cancel or make changes to your Auto-Delivery Program at any time online through your account or by contacting us via e-mail. 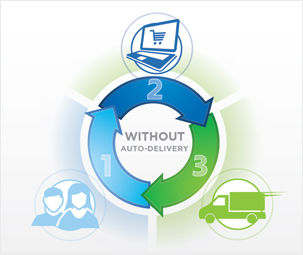 Set up Auto-Delivery in your shopping cart when you order online.